1. Do not wax or pluck before your treatments. The purpose of the laser is to target pigment, or melanin, so if you remove hairs from the root there will be no pigment to target. In the weeks before your first treatment, you should SHAVE the area that will undergo treatment. If you don’t feel comfortable with shaving (your upper lip and chin for example), you can always invest in small scissors and TRIM the area every couple of days. 2. Laser Hair Removal cannot be performed on skin that has a tan. Remember, the laser targets the brown pigment melanin, and melanin is also responsible for the darkening of your skin when your skin is exposed to UV rays. Targeting the melanin in your tan could lead to blotchy, uneven-looking skin. The sun also makes your skin more sensitive to laser hair removal, leading to a higher chance of burns and blisters. So no tanning prior to and 6 weeks following laser hair removal treatments. 3. On the day of your treatment, it is important to shave or trim as close to the surface of the skin as possible. This will ensure that the energy from the laser is concentrated in the smallest length of hair as possible, making the treatment outcome better. If the hair is long, the energy will be dispersed along the full length of the hair shaft, making it less effective and leading to more chances of burning the skin surface. 4. Laser hair removal does not work on hair that is white, gray or blonde as these types of hair do not contain brown melanin (also called eumelanin). Moreover, laser will not work on red hairs because the pigment associated with redheads is not brown, it’s reddish (also called pheomelanin). Individuals with those hair colors MAY see some results with laser treatments, but it will not be as effective so we usually don’t recommend it. Electrolysis would be a better permanent solution for them. 5. Be consistent with your treatment schedule. Facial hairs should be treated every 4-6 weeks, and body hairs every 6-8 weeks for best results. If you skip a treatment or if the length of time is longer in-between treatments, you will not see optimal results. Does drinking water really enhance your skin hydration? We all agree on the fact that drinking water daily is important for overall good health because water aids in circulation, digestion, absorption and even aids in flushing toxins. But what about drinking LARGE amounts of water for enhanced skin health? 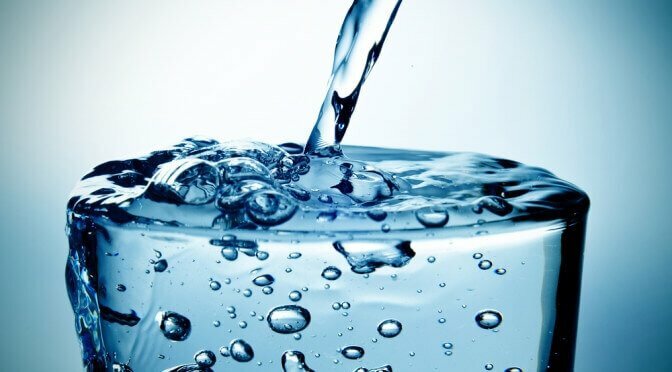 Claims have been made that drinking water gives you a radiant, healthy, supple complexion, while others say it has no effect on skin’s appearance. If your skin is not getting enough water, the lack of hydration will present itself by turning your skin dry, dull, tight and flaky. Dry skin has less resilience and is more prone to wrinkles. As water is lost in large quantities every day and you need to find ways to replenish it. You should definitely aim to drink a minimum of 2L (eight glasses) of water daily. But it’s also important to APPLY water to our skin and KEEP IT there (through the use of proper moisturizing products) – this will not only show a visible difference in hydration and radiance but it can prevent wrinkles too. So what is the best way to naturally enhance skin hydration? Apply a hydrating moisturizer within 3 minutes of stepping out of the bath or shower. The skin is still damp and products that are applied following a bath or shower will be better absorbed. Apply a product containing hyaluronic acid prior to your day and night moisturizers, such as SkinCeuticals Hydrating B5 Gel. Hyaluronic acid holds 1,000 times its own weight in water, thus attracting water to the skin and holding it there. This product is a favorite as it bring pure, oil-free hydration without the heaviness of creams. Drink more water. Drinking AT LEAST 8 glasses a day will help rid the body (and skin) of toxins. Many people often report that by increasing their water intake, their skin has a more radiant glow. Those who suffer from acne have reported the same results. Nothing will happen overnight, but even a good couple of weeks of increasing water intake should be enough for you to see how hydration affects your own skin. Invest in a good humidifer for your home and use it consistently during the drier winter months. Keeping skin hydrated should be from the inside out and the outside in. If the level of humidity in the air is higher than normal, the skin will experience less TEWL (aka transepidermal water loss). Get regular hydrating facials. Professional facials are an excellent way of taking your skin to the next hydration level with a more in-depth cleansing, exfoliation and hydration that will ensure increased hydration for a few weeks. Be diligent at using hydrating masques. Our favorites include IMAGE VitalC Hydrating Enzyme Masque and Vivier Ultra Hydrating Masque, used twice a week for 20 minutes. For more information and to analyze & improve your skin’s hydration levels, consult your SkinScience experts and book your Hydrating Rush Cellular Treatment (our latest facial treatment for deep, long lasting hydration)! 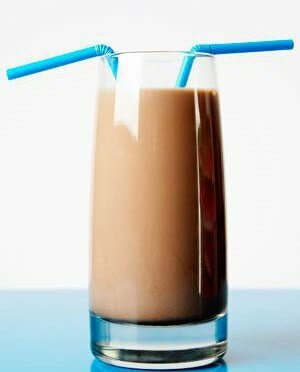 Did you know that Chocolate Milk is the worst drink you can have if You Suffer From Acne? 3. Insulin like growth factor-1 (IGF-1) is one of the growth hormones found in milk. IGF-1 is problematic for acne sufferers for two reasons. It increases sebum production, and it stimulates the growth of skin cells. The faster the skin cells grow the faster they also die. That means more dead skin cells to block the pores. CONCLUSION? Stay away from chocolate milk. It’s not good for your skin (inflammation ages the skin on top of creating more inflamed acne lesions) and not good for your body in general as it creates a lots of inflammation. Instead, drink plenty of water, flavor it with lemon or lime slices, have an apple, take your vitamins and minerals and visit us at SkinScience Clinic so we can take care of the other aspects of your acne-prone skin. I’ve done over 5,000 skin analyses in my life and one of the most important thing to find out is whether patients have sensitive skin or not. The reason why this is important is because it’s going to dictate how aggressively we can proceed with the treatment options and active ingredients that are present in skin care products. “Sensitive skin means different things to different people. In general, people have a tendency to overestimate their skin’s sensitivity”. What I’ve found out over the years, is that sensitive skin means different things to different people. – Skin is sensitive to the sun. – Skin is sensitive to harsh chemicals. – Skin is sensitive to specific ingredient(s). – Skin is sensitive to fragrances. – Skin is sensitive to procedures. – Skin gets itchy when a new product is introduced into the routine. – Skin gets red easily. – Skin breaks out easily. – Skin is sensitive because of current prescription products. – Skin is sensitive because the patient is overexfoliating. – Skin is sensitive because the patient is too aggressive with procedures. – Eczema, rosacea or psoriasis have been previously diagnosed. For example, if somebody has a skin reaction from using salicylic acid, we will want to avoid products and procedures (such as peels) that contain that ingredient. If somebody has been diagnosed with facial eczema, we will want to stick with fragrance-free, hypoallergenic products that rebuild the skin barrier with soothing the skin and reducing redness. 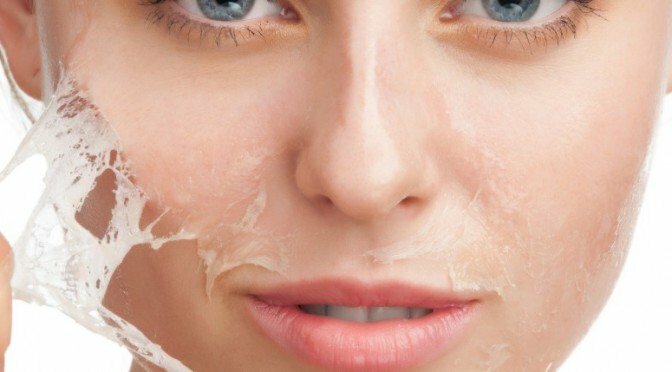 While it is possible to do a medical facial on a client who has eczema, we need to be very careful about the products that will be used in the facial procedure, and generally avoid procedures like microdermabrasion, peels and laser that could further inflame the skin and lead to worsening of the condition. If the person is sensitive to breakouts, one needs to be careful with the texture of products, avoiding heavy creams and oil- and silicone-based products and focus on light lotions and oil-free gels. Also, someone can be sensitive to breakouts if the active ingredients used to unclog pores are to irritating for the individual’s skin. Irritation of clogged pores can lead to their inflammation and therefore lead to more active breakouts. Moreover, having a multifaceted approach to acne management should help the patient be less prone to breakouts in the future. Generally speaking, one can definitely see a tendency for the general population to overestimate the sensitivity of their skin. Research done by l’Oreal has shown that up to 60% of the population thinks their skin is sensitive, but that in reality, 25% is probably a more accurate number. What about you? Do you have TRUE sensitive skin? To know more about your skin’s true level of sensitivity, book your 1-hour skin consultation and let’s find out which products and procedures are best for you! I look forward to meeting you soon! From my experience, people think they know their skin type, but they don’t. In 80% of cases, they think their skin is dry, but it’s actually dehydrated. What’s the difference, and why is this important to you? First, because you need to be able to choose the right skin care products based on your TRUE skin type, otherwise skin problems (blackheads, bumps, oiliness, flaking, sensitivity) may arise. Second, because product texture (serum vs. lotion vs. cream) is extremely important in making a skin type feel comfortable. If the product is too thick for your skin type, the skin feels and looks greasy (and can even cause more acne), if the product is too thin for your skin type, the skin feels tight, dry and looks parched and dull. “Skin types are based on the amount of OIL they produce”. 1. DRY SKIN: by definition, dry skin is skin that is not producing enough oil. The skin can feel tight all day and you see skin flaking and lack of radiance. Pores are barely visible and there is no blackheads. (10% of the population). SOLUTION FOR DRY SKIN: choose products that contain oils to compensate for lack of natural oils in the skin. 2. NORMAL SKIN: by definition, normal skin produces the right amount of oil – not too much, not too little. It is not super shiny at the end of the day, not dry and tight, it’s just perfect. Pores are normal and the blackheads are usually very small, if they are present. (10% of the population). SOLUTION FOR NORMAL SKIN: maintain healthy skin and healthy amounts of oils. 3. COMBINATION SKIN: by definition, combination skin produces a different amount of oil in the T-zone then on the cheeks. There are different levels of combination skin. The T-zone can be oily and the cheeks normal, the T-zone can be oily and the cheeks dry. Overall, the Tzone produces more oil than other parts of the face and is shiny at the end of the day. Pores are more visible on the nose and cheeks, blackheads are usually visible. Combination skin is often associated with acne. (70% of the population). SOLUTION FOR COMBINATION SKIN: do not add extra oils via skin care products. Look for oil-free and silicone-free products to hydrate skin. 4. OILY SKIN: by definition, oily skin produces an excess of oil all over. It can be very shiny a few hours after washing it in he morning. 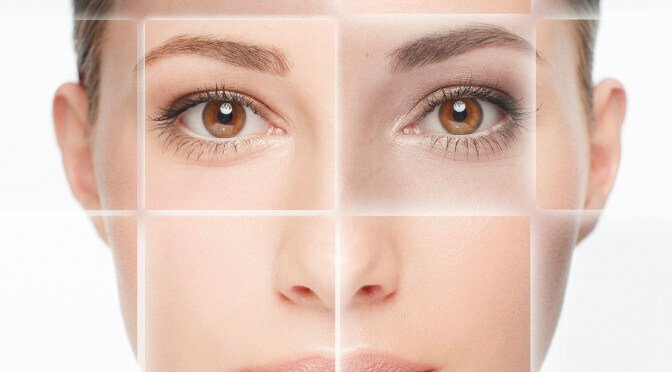 Large pores, blackheads and oiliness are characteristics of oily skin. (10% of the population). SOLUTION FOR OILY SKIN: Avoid oil-based skin care products. Look for oil-free and silicone-free products to hydrate skin. “All these skin types (dry, normal, combination, oily) should be differentiated from DEHYDRATED skin, which is by definition skin that lacks WATER or HYDRATION. In general, all skin types (dry, normal, combination, oily) can also be dehydrated (lacking water)”. As a rule of thumb, everybody experiences some level of dehydration no matter what their skin type is. Problems arise when people who have combination/oily skin cleanse their skin and it feels tight and they think it’s dry. They then reach for products that are labelled for “dry skin” (ie: contain added oils to compensate for the dry skin condition) but adding oils on their skin will cause them to be shiny and breakout. Their combination skin is not dry, it’s simply dehydrated – so they need HYDRATION ie. additional water NOT additional oils. Now that you can analyze your skin type, and if it is dehydrated or not, here are the ingredients you should be looking for to feel comfortable. If you have normal, combination or oily skin, you should steer clear of ingredients for dry skin (left column) and look for ingredients from the right column.